This is my first time blogging from another country. We arrived in Mexico two days ago so I could teach a research methods class on an island in the Caribbean. I’m not doing it for money, just to live on a tropical island for six weeks and get my Ernest Hemmingway on. 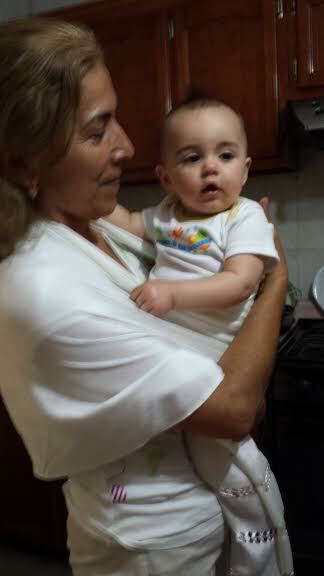 Cozy will have her first birthday on Isla Mujeres and probably celebrate it by riding away on the back of a dolphin. 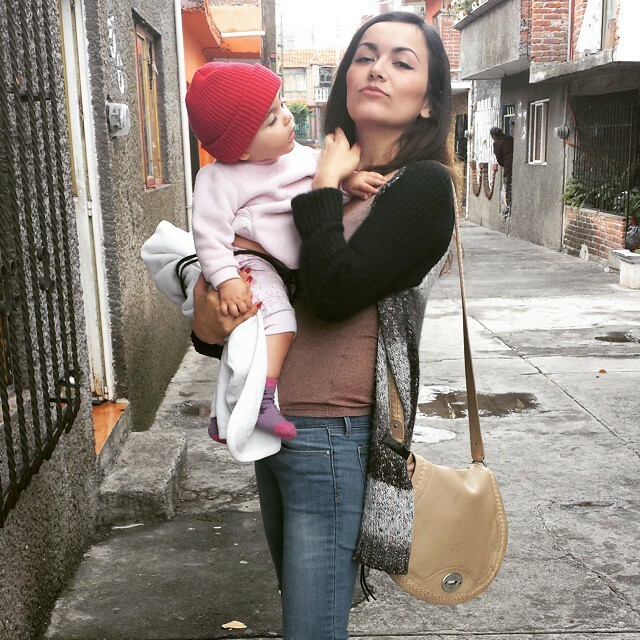 But first we’ve come down to the city Andrea is from, Morelia, to spend time with her family. We’ve been here together before and I wonder if last time we were here, her mother imagined us returning with a child. I love seeing my wife in her native land, returning to the house she grew up in. And Cozy’s eyes are wide at all the new sites, sounds, smells, and flavors. While her dad and her uncle do shots of mescal, she watches kids play soccer in the alley. 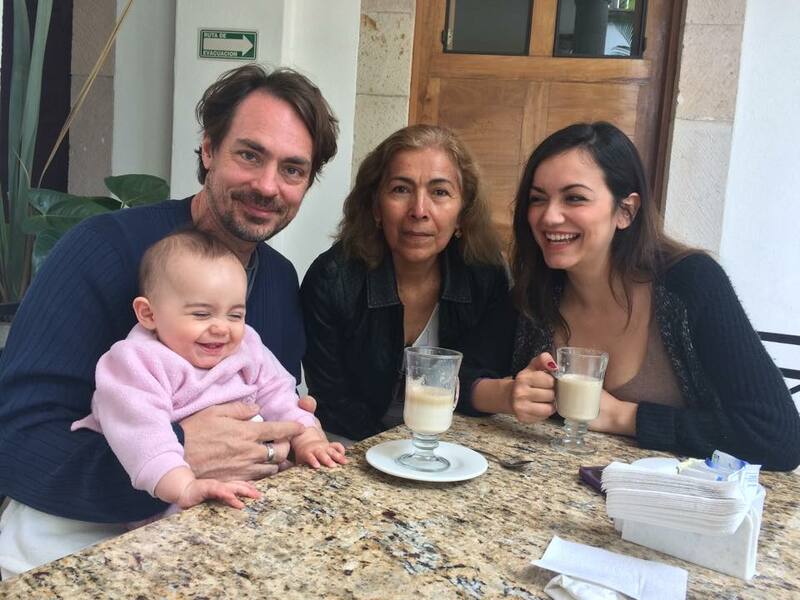 We made a decision early on that our daughter would spend as much time in Mexico as possible. She is “bi-racial” and certainly, at least, bi-ethnic. On the 2010 U.S. Census, nearly 3% of the population identified themselves as being more than one race. The number of biracial children increased 50% from the 2000 census. While the white-supremacists I study see all this “race-mixing” as the end of the white race as we know it (a race that never actually existed until slave-traders invented it), most of us see it as a beautiful door that opens to more goodies. Postmodernists tell us that collision is production. You bigots can keep your chocolate and peanut butter separate, but give me my damn Reeces. Most anti-miscegenation appeals are by racists who fear the blurring of racial boundaries. There has long been a fear of “mulattos” making it hard for whitey. Just watch the 1915 epic Birth of a Nation. “Is he black or is he white? Quick! Call the Klan! Stay in your racial box, boy!” But the other side is about the loss of culture. For example, the more Native Americans assimilate with American culture, the less of their own culture they have to hold on to. I went to a wedding on the Warm Springs reservation between members of two different tribes and there was an awareness that the children would be less than full-blooded members of any one tribe. Cozy isn’t half anything. She’s full on human. Like most of us, her parents bring different pieces of ethnic culture to her party. I’m far from 100% Czech and my Czech relatives were probably from Poland anyway. We’re all mutts to some degree. And we know that genetic diversity makes us stronger. I’d like to convince some inbred white supremacists who think the “white race” is going to disappear of this, but they’re too inbred to understand that it’s all just shades of flesh color. 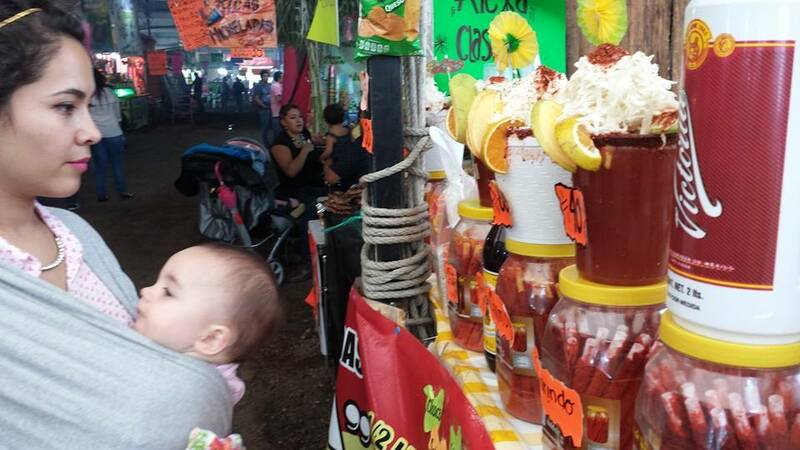 Anyway, the point of this blog post (and this trip) is that we want our daughter to know the vibrant Mexican culture her mother comes from. When I grew up watching TV, I thought Mexico was a big desert filled with banditos, siestas, and mice that ran really fast. The reality is much different. My wife had never even heard of Mexican jumping beans. And don’t go looking for burritos here. Huaraches y micheladas, si. I love Mexico and I want Cozy to know the real deal, not the fear of rapists and murderers that morons like Donald Trump spread. Or the reports of narcos chopping off people’s heads that pop up in the news and then end up on Breaking Bad. Mexico is a colorful land filled with endless music and food and generous people. (Can I please pay for something? You payed for the last ten things!) Sure, it’s had its recent struggles with corrupt police and narco syndicates who exist solely to feed America’s drug appetite, but there is also a beautiful resistance. 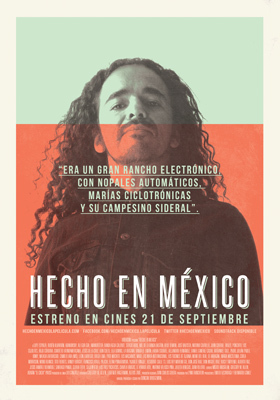 Just watch the brilliant film Hecho en Mexico (now streaming on Netflix) to witness the true soul of this land, defiant to generations of colonizers. I want my daughter to know the vibrance of this spirit. In many ways, Mexico is like los Estados Unidos. People are addicted to their smart phones and crappy TV shows. They just wear more Hollister gear and don’t believe in car seats. But they do have movies in 4-D. We just saw the new Terminator film and were, quite literally, blown up and down. (C’mon, USA, catch up!) And Mexico has its own issues with gender fairness just like us. But for every macho ranchero there is a budding feminist rapper, like Mare Advertencia Lirika, bubbling up from below the ground. The big question for us is will baby Cozy get her ears pierced while she’s here. (It’s the culture, OK?) She will be baptized in a Catholic church in two weeks, which will give her something totally valid to rebel against later. How can anyone be less for sharing in two cultures? Our daughter will learn how to eat Velveeta from her white dad and make abuelita from her brown mom. Being from two worlds will give her options. How Latina does she feel today? Culottes or an escaramuza? She can travel widely as 450 million Earthlings speak Spanish. Summers in the Philippines or Costa Rica? The future looks a lot more like her mother than it does me. She will be a richer person because she is bi-racial and I’m excited for her to have both worlds to enjoy. But for now she is going to enjoy two weeks in Morelia being gushed over by her family here while I head off to Isla Mujeres to start my teaching job. When I rejoin her I’m sure she will be a little darker and a lot more spicy. My little Mexican jumping bean. Next > Dial your douchebag down: How to.